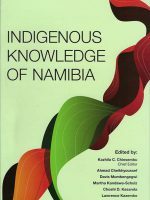 Indigenous knowledge of Namibia is a fascinating compendium aimed at a wide readership of academics and students, governments officials, policy makers and development partners. The 17 chapters examine the indigenous knowledge of medicinal plants for treating HIV/AIDS, malaria, cancer and other microbial infections of humans and livestock ; indigenous foods ; coping and response strategies in dealing with human-wildlife conflicts, floods, gender, climate change and the management of natural resources. A new rationalisation of adolescent customary and initiation ceremonies is recommended in response to the HIV/AIDS pandemic ; and a case study of the San people of Namibia speaks to the challenges of harmonising modern education with that of indigenous people. 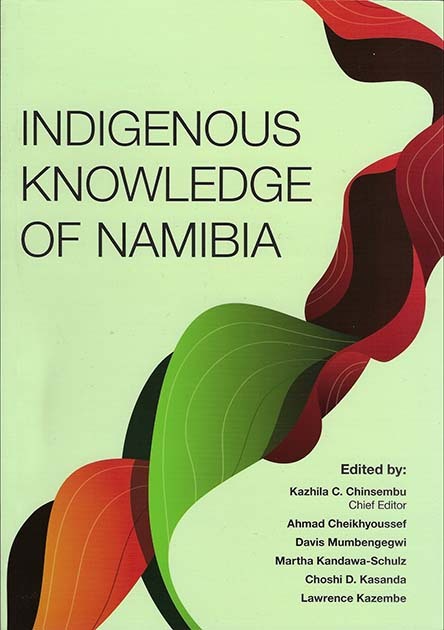 Indigenous knowledge of Namibia, Kazhila C. Chinsembu (ed), UNAM Press, 2015, 406 p.